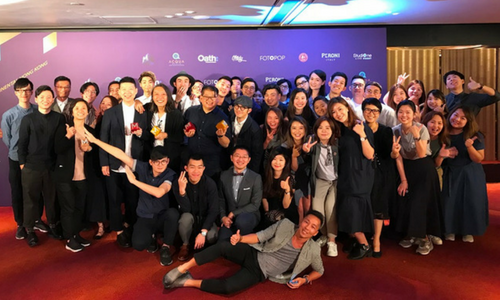 Hong Kong’s very own CMRS Group – which includes CMRS Digital Solutions, Beyond Digital Solutions and production house Visualution Labs – edged out the competition in the Agency of the Year Awards 2018, with a gold and bronze award for Content Marketing Agency of the Year for Beyond Digital Solutions and CMRS Digital Solutions, respectively, and gold for Visualution Labs in the Production Agency of the Year category. Since its establishment in 2008, CMRS has grown from a team of 10 to 173, who supports the fast business growth and provides ample resources for the day-to-day social media management. With 75% of clients retained, CMRS owns a broad account base with key clients such as Harbour City, AIA, Vitasoy, Chow Tai Fook, McDonald’s and HSBC. One of the most high-profile campaigns of the company last year was the Visa Express Lane campaign, promoting the brand’s cutting-edge mobile payment initiative that provides its customers with a frictionless payment experience. By leveraging on public figures, including KOLs and Visa’s country manager, the campaign created a social media sensation and hit specific targets of the young segment and professionals without a hitch, resulting in an enormous fan growth on the client’s Facebook page. Together with Beyond Digital Solutions, CruiSo Digital and Visualution Labs, the agency has operated as a group structure from 2015, maximising its business opportunities for clients by providing a full suite of digital solutions, including social media content management, content creation, channel management and digital marketing consultancy.